Smartphones have become an essential tool for many travelers. Mobile devices have empowered travelers by letting them discover and book activities, restaurants and hotels while on the go. This has completely changed the dynamics of travel research, making it much easier for vacationers to make last-minute decisions instead of spending hours browsing the web. Simply looking at some of the most relevant reviews on TripAdvisor might be enough to convince a traveler to book if they are on the move. As the way people research and book their trips has changed, so has the way hotels market themselves. 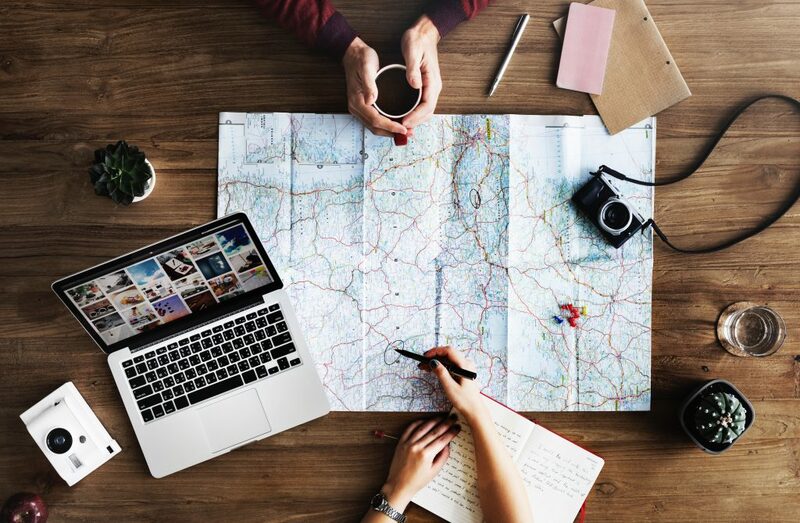 Brands can target last-minute planners by advertising on pages that travelers often visit, and boost their local SEO presence to make it easier for travelers to discover them. To appeal to travelers who don’t give themselves a lot of time to look for accommodations, it is crucial for hotel websites to have an updated Google listing that immediately displays basic information. Hotels that pop up first logically have a better chance of attracting potential guests to their website, and eventually booking a room. This is particularly true when travelers are pressed for time, but applies to all travelers as well. Putting the name of the hotel’s city and state in the title, tags, URL and description will help attract mobile users since search engines favor websites that include location information. For this reason, hotels that want to have a strong online presence need to keep local SEO in mind. Mobile devices are critical to the experience of many kinds of travelers. Vacationers who want to pack light will probably leave their laptop or tablet at home, meaning they will rely on their phone to keep them connected and informed. While business travelers may bring along other devices, their smartphone is essential for on-the-go communication, keeping them connected to their team members. If mobile ads for local food, drink and entertainment reach these groups, travelers will then be encouraged to research things to do in the area. Hotels that provide their own locally relevant experience have the opportunity to advertise this as well. Smartphones are not just used for looking up activities and accommodations during the trip, as 60% of destination-based travel research is done on a mobile device. Accessibility is a big reason for this, as potential travelers who always have their phone nearby are more likely to use it to research aspects of their trip. Google has found that while many people who use their phones to look up trip ideas have no intention to book at that moment, the most common travel-related activity on mobile is discount-hunting. This means that even if browsers do not necessarily want to book immediately, there is still some intention to do it in the future if the price is right. Capturing the attention of potential travelers in the early stages of travel research can come down to having relevant, engaging mobile content. When still unsure about what destination they might choose, travelers are most open to content that presents the destination and hotel as unique and memorable. Including stories from real travelers can be an important part of this, as this perspective helps browsers visualize their stay. Successful mobile content is typically short and concise, with the most important information coming at the top. When reading online content on a mobile device, notifications from other apps and various messages are competing for the reader’s attention, so it’s essential for the content to make an impact early on. Engaging mobile content will encourage potential travelers to continue researching the destination, and keep them on the path to booking. However, since travelers who plan ahead will usually switch to their desktop to book their trip, there is a risk that they will lose their desire to book in the time between switching devices. This is why it is critical to keep the destination fresh in the minds of people who want to travel. Recent studies have shown that hotels would be wise to improve their mobile presence by developing an app. It is important to encourage travelers to use mobile devices to browse and book, but there are many in-stay uses for a hotel’s mobile app as well. Guests generally want more control over their hotel experience, and smartphones are capable of doing just that. From scheduling room cleanings to adjusting the temperature and lights in the room, hotels are seeing how smartphones can be at the heart of personalized in-stay experiences. However, before the guest gets a chance to see how a hotel’s app can revolutionize their stay, they first need to be convinced to download it. With mobile apps available for practically every service and product, this can be a hard sell. Social media promotion, an eye-catching icon, and a strong marketing effort are all important steps that might help convince skeptical users to give the app a try. However, even if the app is sold to guests as an integral part of their hotel experience, hotels will still have a hard time convincing every guest that it is worth the space on their phone. Fortunately, hotels can still give a smartphone-oriented experience to users who don’t want to download their mobile app. Platforms like Helix let guests instantly communicate with the hotel if their experience is not up to standard. Learn more about travel research in The Strategic Guide To: New Tech & Traveler Trends, which explores how technology can be used to satisfy the ever-changing needs of modern travelers. Find out more about how hotel brands are using innovative technology in The Strategic Guide To: New Tech & Traveler Trends.